THURSDAY, May 3, 2018 (HealthDay News) -- Testing for small changes in the flow of lymph fluids after breast cancer surgery can spot the start of a painful swelling known as lymphedema before it becomes hard to treat, a new study suggests. 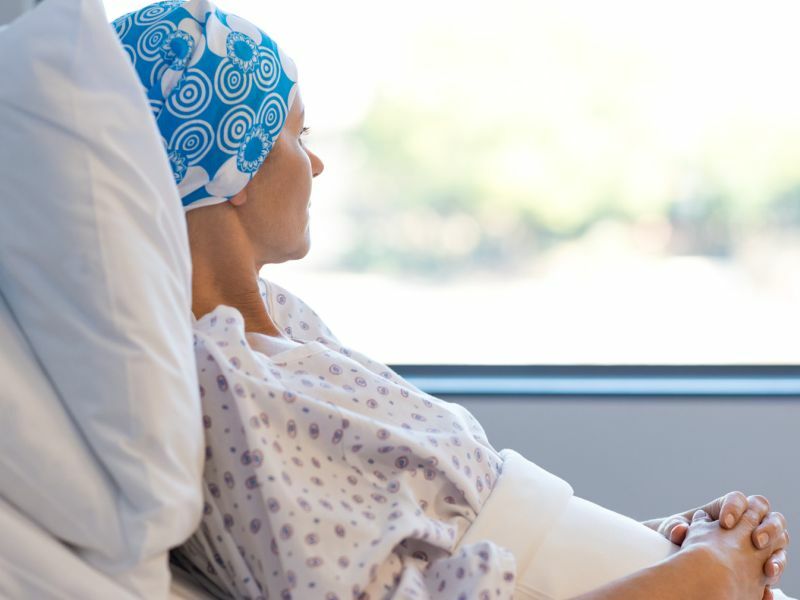 Evaluating nearly 150 breast cancer patients considered at high risk for lymphedema, researchers found that measuring lymph flow using bioimpedance spectroscopy helped prompt earlier intervention. The device uses electrical current to assess body fluid volume. Often, lymphedema isn't diagnosed until swelling becomes obvious, when it can't be reversed, study author Dr. Lyndsey Kilgore explained. "A woman may not notice the swelling yet, but the whole point is we're detecting it sooner so we can intervene sooner," said Kilgore, a resident in the department of surgery at the University of Kansas Medical Center. "If women know we can detect lymphedema sooner, it will probably ease a lot of patients' minds," she added. Lymphedema can develop in the breast, arm, hand and torso on the side from which lymph nodes were removed during breast cancer surgery. Swelling results when lymph vessels can't carry fluid away from the area, and it can lead to decreased range of movement and infection on the affected side. The more lymph nodes that are removed during breast cancer surgery, the more likely lymphedema will result. Newer lymph node removal techniques, including sentinel lymph node biopsy, remove only one or a few lymph nodes from the area, leaving patients at lower risk of developing lymphedema afterward. Historically, rates of breast cancer-related lymphedema in high-risk patients -- defined in the study as those who underwent lymph node removal and radiation and/or chemotherapy -- range from 20 percent to 40 percent, according to Kilgore. She and her colleagues evaluated 146 women considered at high risk for lymphedema over three years. All patients received baseline lymph flow measurements before surgery and periodic follow-up measurements for at least one year after surgery. Forty-nine of the patients, or about one-third, developed "subclinical" lymphedema -- before noticeable symptoms. These women started home treatments that included wearing a compression sleeve garment and self-massage over four to six weeks. Post-treatment measurements were taken to evaluate improvement. Of those 49 patients, 40 had lymph flow measurements return to the normal range by their last follow-up visit. Nine participants required referral for a more extensive treatment known as complete decongestive therapy. Kilgore said the $3,500 testing device requires sticky patches costing about $60 per patient that help measure lymph fluid during testing. Her hospital is reimbursed an average of $115 per test by private insurance companies -- though the actual procedure costs more -- and Medicare reimburses similarly, she said. But another breast cancer expert noted that other tools and techniques can detect lymphedema before symptoms arise, including a basic tape measure that costs "a couple of dollars." Dr. Mehra Golshan, director of the breast surgical oncology fellowship at Dana-Farber Cancer Institute in Boston, said he uses a tool called a laser perometer, which gauges lymph flow by capturing thousands of points of measurements on the entire arm. Other hospitals may use a water displacement technique that measures arm swelling by how much water is displaced in a tank. "In most places, where health care dollars matter a lot … [measuring tape] would be the way to do it," said Golshan, who wasn't involved in the new study. "But as time goes on, more sophisticated systems have been developed that are slightly more sensitive and accurate than tape measurements, though not necessarily better in terms of patient outcomes." But Golshan praised the new study for focusing on lymphedema detection, which continues to be an important problem among breast cancer surgery patients. Once detected, physical therapy is often prescribed along with home treatment, both of which can reduce associated side effects. "The good news is, it's becoming less frequent" because of more advanced lymph node removal techniques, he said. "I think trying to detect it early and offering patients access to care to help alleviate it is important and should be applauded." The study was scheduled for presentation Thursday at the American Society of Breast Surgeons annual meeting, in Orlando, Fla. Research presented at scientific conferences typically hasn't been peer-reviewed or published, and results are considered preliminary. SOURCES: Lyndsey Kilgore, M.D., resident, department of surgery, University of Kansas Medical Center, Kansas City; Mehra Golshan, M.D., chair, surgical oncology, Brigham and Women's Hospital, and director, Breast Surgical Oncology Fellowship, Dana-Farber Cancer Institute, Boston; May 3, 2018, presentation, American Society of Breast Surgeons annual meeting, Orlando, Fla.